ITU-T G.168-2012 recommends specific methods of signal energy/level estimation for compliance testing purposes. If the recommended methods are not used as specified then the LEC/NEC device cannot be considered as G.168 compliant. The input level of the CSS (composite source signal) is using a standard RMS method. The method is essentially equivalent to using a FIR averaging of the instantaneous signal energy over the duration of the CSS signal period. Only the “non-zero” section is taken into account. Therefore for single-talk version of the CSS the number of samples taken in the RMS method is 5600 and for the double-talk version of the CSS the number of samples taken in the RMS method is 6400. Figure 1 depicts these two signals extended over one period. Figure 1: Single-T=talk and double-talk CSS. 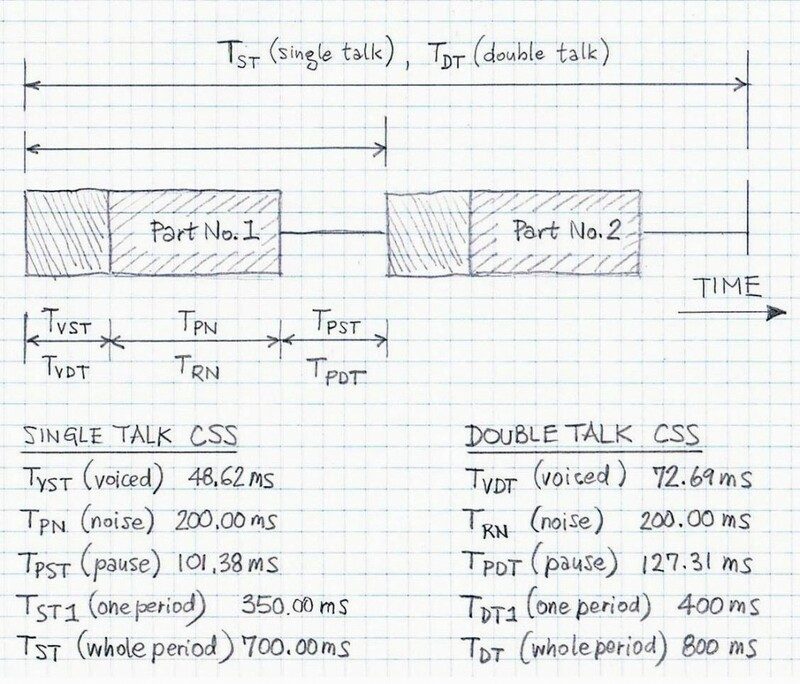 In Figure 1, the CSS tags “S” refer to single talk and “D” to double talk. The noise part lasts in both cases 200 ms however the type of noise is slightly different. Part No.1 and No.2 are identical in absolute sample magnitudes; they are reversed in polarity. Thus levels computed using Part No.1 and No.2 produce identical results. where N=5600 (for Fs of 8000Hz). 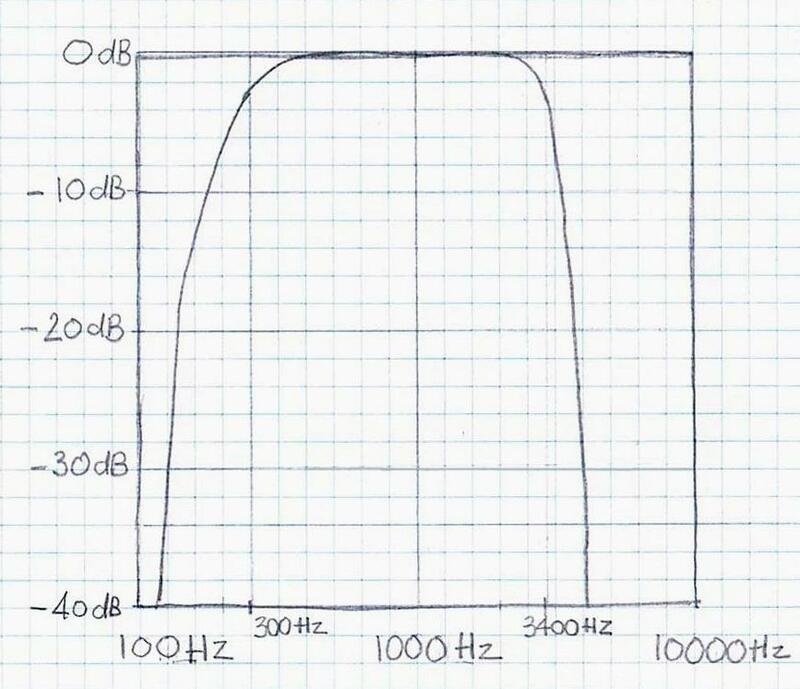 where N=6400 (for Fs of 8000Hz). Both quantities (Eq.1 and Eq.2) are expressed in dBm0. Some specific recommendations (see for example Text No.2 of G.168-2012) require that the RMS value be computed over the “active portion” of the CSS signal. In such a case, the upper limits in summations in Eq. 1 and Eq. 2 have to be modified accordingly. Also the denominator N has to change to represent only the “active portion” of the CSS signal. Figure 2: Block diagram illustrates steps for computing short-term signal levels. In several test of G.168-2012, short-term levels of the signal under considerations are required. The procedure for the short-term level computations is based on IIR filter-based instantaneous energy smoothening. Prior to instantaneous energy and IIR filtering computations are performed on the signal under consideration, FIR filter based frequency weighting is required. The process for computing short-term levels is depicted in Figure 2. The band-pass FIR filter removes the DC value of the signal under consideration (it is particularly important for A-law systems because then signals have a DC bias introduced by the companding ) and shapes its signal spectrum so only frequencies within the band [300Hz, 3400Hz]. The FIR filter is of 101-th order. Its amplitude characteristic is illustrated in Figure 3. ITU-T G.168-2012 requires that several prescribed methods of signal level estimation are used in LEC/NEC canceller testing. VOCAL’s LEC/NEC components are tested using fully compliant methods described in G.168, including energy and level estimation for the purpose of producing test results. Contact us to discuss your echo canceller application.